Are you looking for gift vouchers for a loved-one this Christmas? Now that Halloween is over, it’s officially time to start that Christmas shopping- it’s hard to believe that it’s this time of year again and if you’re like many people, you might well be stuck for gift ideas. 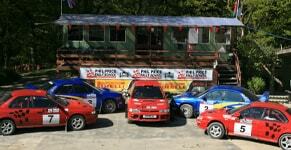 If you’re searching for a present for an adrenaline addict, Phil Price Rally School could have what you’re looking for. Simply slip one of our gift vouchers in their stocking and they’ll have a ticket to the most incredible experience imaginable. 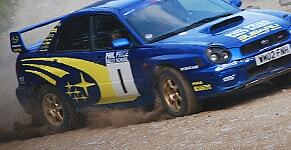 We give them the chance to drive a fully prepared Subaru Impreza on real rally stages. With our one-on-one driving tuition, they will learn to control the car using a variety of techniques. Since we have one of the best venues in the country, our driving experiences are an awesome experience for spectators. Our rally stages have breath taking views over the rugged Welsh landscape. This action-packed course climaxes with a thrilling competition against other participants, with the chance to nab the winner’s trophy. Why not discover more about our gift vouchers today.